The HYDAC Filter Division manufactures products tailored to market requirements and to the highest quality standards, backed by modern machinery and a large production capacity. HYDAC Filtration Technology is based on intensive basic research, the solving of technical problems, specific customer requirements, and international standardisation. Whether you’re looking for high-quality filter housing, or you simply need qualified information from one of Australia’s premier hydraulic filters suppliers, discuss your needs with a HYDAC representative today. Click here to see our database for Replacement of Filter Elements. Development, design, production, quality, service and distribution are equally important to HYDAC and our hydraulic filters suppliers (partners). The concentration of all these functions in our independent filter division guarantees continuous processing, optimum cost/performance ratio, and a consistent quality standard. Development at HYDAC means designing application orientated filtration systems based on test results from our research and test laboratories and results gained from tests and investigations on site, taking into account the requirements of the user and the manufacturer. A highly qualified development team, using computer-aided analysis, measuring and testing equipment and test rigs, ensures rapid conversion of test results. As hydraulic filters suppliers, we guarantee reliable performance and increased service life of components, systems and machinery, from the filters to filter housing products. In delivering on these properties, HYDAC hydraulic filters are able to increase the protection of components and reduce the downtime of machinery and systems. The condition of the operating fluid plays a key role in this objective, since approximately 70% of all breakdowns of hydraulic and lubrication systems can be attributed to the condition of the oil – with proven detrimental effects on the efficiency and profitability of systems and equipment. Filter housing can enhance the protection of your operating fluid, thus improving the quality of your system as a whole. Why is filtration so important? Selecting the optimum filtration solution contributes significantly to preventing damage caused by contamination, to increasing the availability of the system and therefore to increasing productivity considerably. 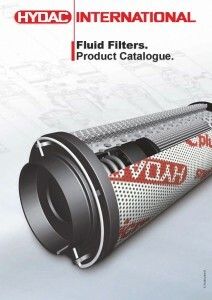 See below our Filtration Technology products, including filter housing. If you have any questions, don’t hesitate to contact the premier hydraulic filter suppliers at HYDAC on 1300 449 322.